The out side wash room doors do not lock and the womens door won't even close. The wi-fi keps cutting out and the picnic tables are falling apart. The prices keep going upmbut some of the services have gone down. Friendly staff. 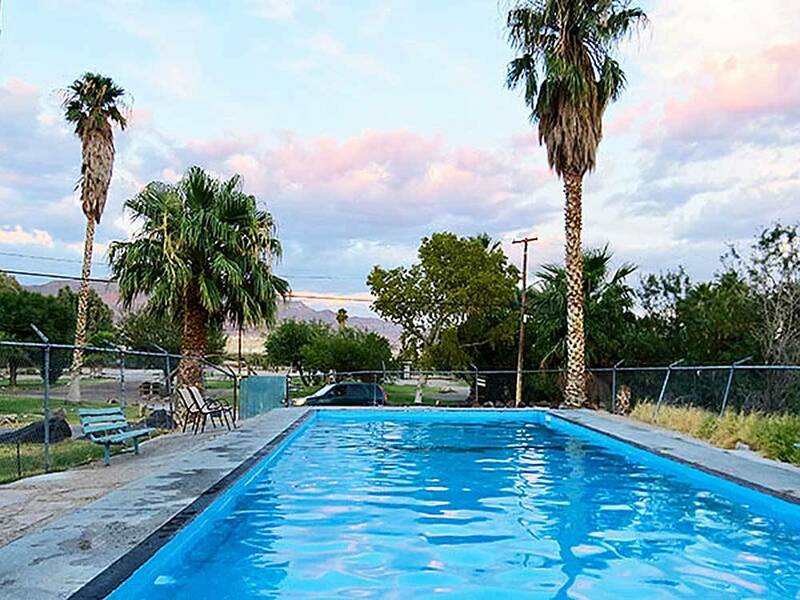 Good place to stay near Death Valley. We had made reservations ahead of time, but had our choice of several spots. Nice pool fed by hot spring. They are developing a small nature preserve adjacent to the park. We would stay here again.